Brr, it is cold outside! Which means we’re not wandering around the neighborhood as much as usual. 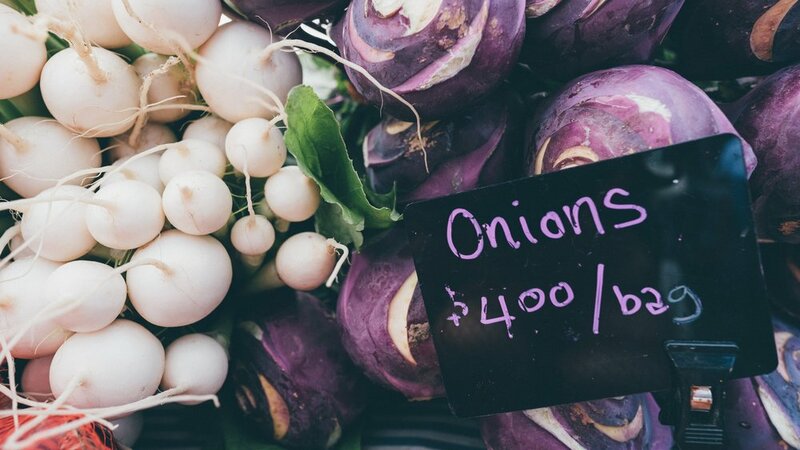 During the warmer months, it is easy to stop by local farmers markets to pick up vegetables for the week. However, in the winter time markets shut down and we all get, well, lazy. So how can we still eat locally grown, nutritious veggies all year-round? In Boston, we have a great indoor market at your fingertips - Boston Public Market. With a plethora of kiosks that sell an assortment of goods, there is truly something for everyone at the market, including two great produce kiosks to try - Siena Farms and Stillman’s Farm. Both offer seasonal produce and excellent customer service. Feeling uninspired or don’t know how to prep certain veggies? Ask the staff what they recommend - you won’t be disappointed! If you don’t have time to scour farmers markets, consider participating in a Community Shared Agriculture (CSA) program. By purchasing a share, you essentially loan money to a farm, and in exchange, the farm repays you with produce throughout the year or season. This option can be a bit pricey for some, but keep in mind, you’re supporting local business and are getting top value, organic produce. And when in doubt, head to Whole Foods. The grocery chain typically carries local produce and labels it accordingly with a red "local" sign. Curious about what is in season near you? Here’s a great resource. Happy produce shopping! ﻿Anna Montain is a content contributor for JUGS.